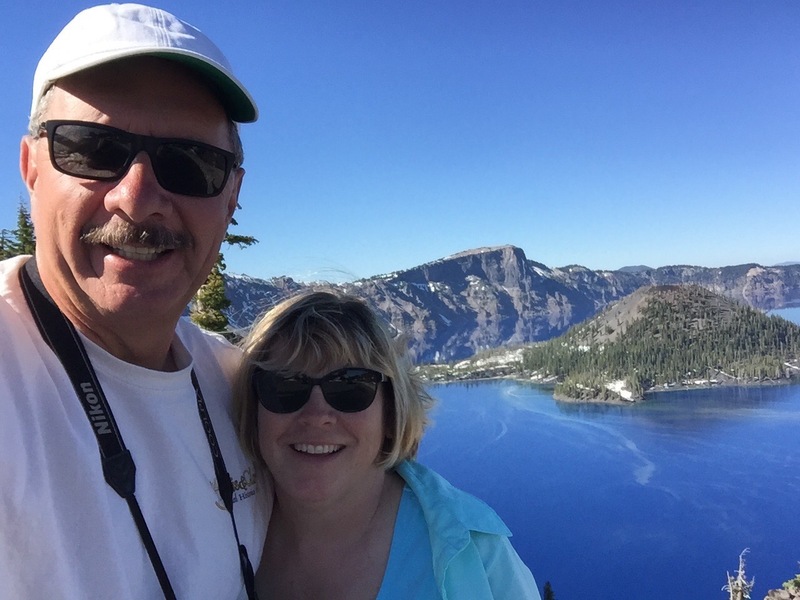 On June 22, we headed east from the coast to visit Crater Lake National Park. We had visited this beautiful volcano-turned-lake in 1996 and have looked forward to seeing it again ever since. 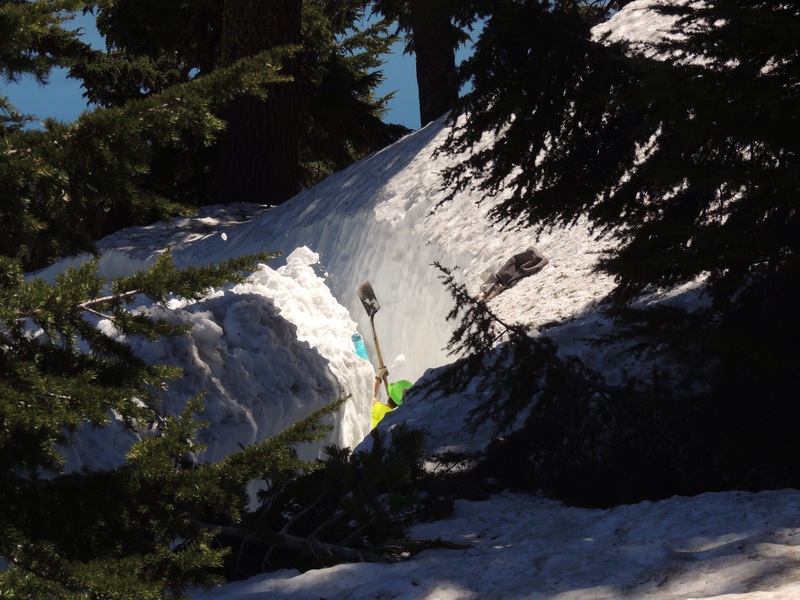 Our friend Rick from On the Road with Maxine and Me had made the trek from Heceta Head a week before us and reported there was plenty of snow still adorning the park. With temperatures at lower elevations topping 100 degrees, we knew we had to get over there soon if we wanted to see it dressed in white! 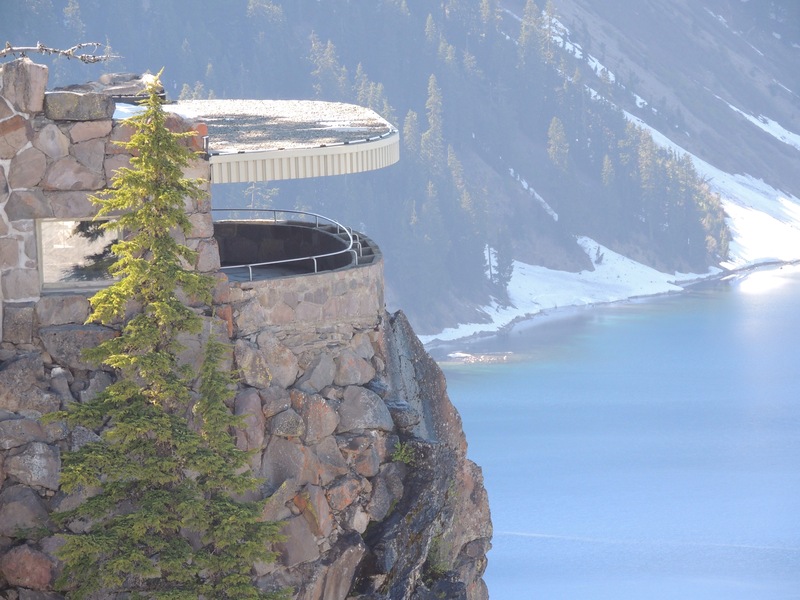 The 12,000 foot volcano that once stood where Crater Lake now is was named Mount Mazama. Geologists estimate that it most likely had a similar appearance to Mt. Hood, which is further north in the Cascade range. It took around 400,000 years to reach its full height. Sometime back about 7,700 years ago the volcano came to life, rumbling and releasing steam and ash. 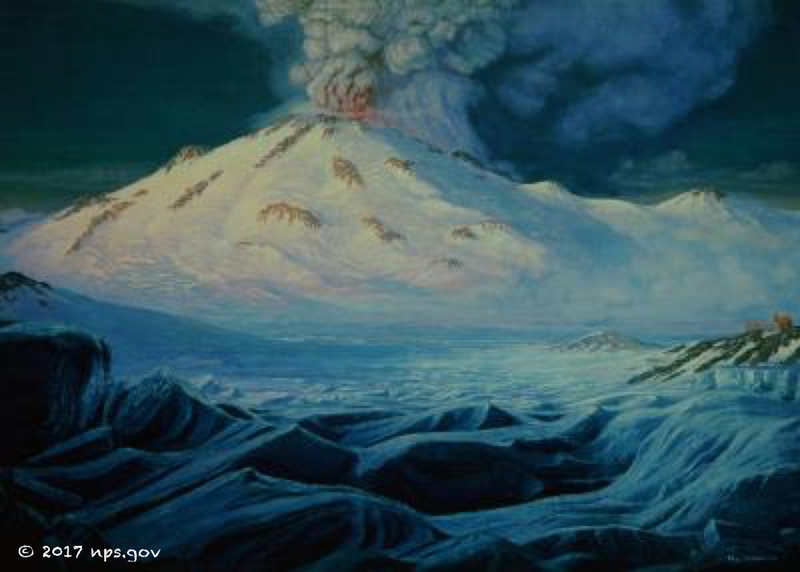 Within a few weeks, the mountain erupted with such force that it emptied the magma chamber below it. In what was estimated to be over the period of just a few minutes, the roof of the chamber collapsed and the top of the mountain fell into it. It is thought that the force of the eruption was 42 times more powerful than the one at Mt. St. Helens in 1980. Subsequent eruptions created small volcanoes within the crater, but nothing like the big bang that caused the mountain to implode. Over the next several hundred years, rain and snowmelt filled the crater, creating the lake we see today. Above is Wizard Island, which is actually a volcano within the caldera. There are two of these cones in the lake, but one of them is 500 feet below the surface. The lake is an incredible 1949 feet deep, the greatest depth of any inland body of water in the United States. No tributaries feed the lake, and the only outflow occurs through seepage. This keeps the water quality exceptionally pure. 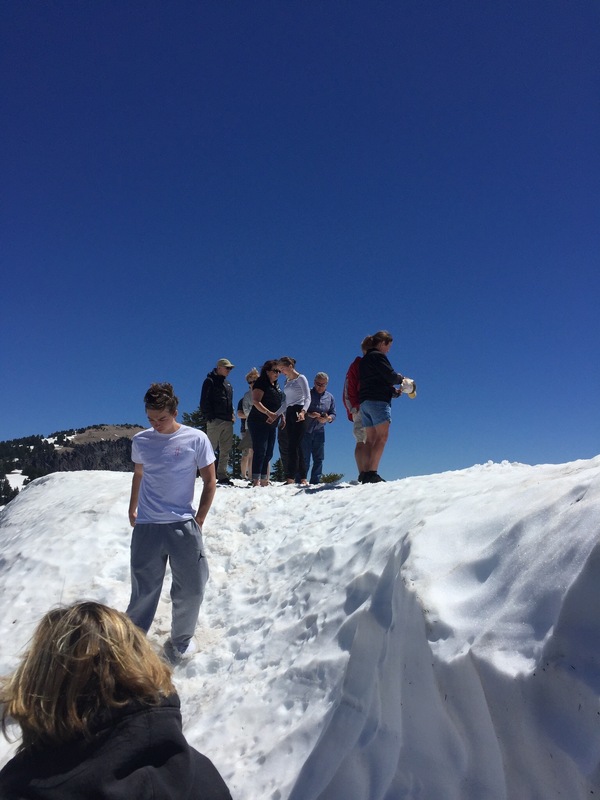 We were happy to see that there was still quite a bit of snow, despite temperatures in the upper 70’s at the crater rim. 😊. The green streaks on the water are a layer of pollen. The lake gets its iridescent blue color from its massive depth and pristine water. The drifts were still piled high against the visitor center, but almost all of the parks buildings were open for business. …but the park workers were working hard to remedy that! 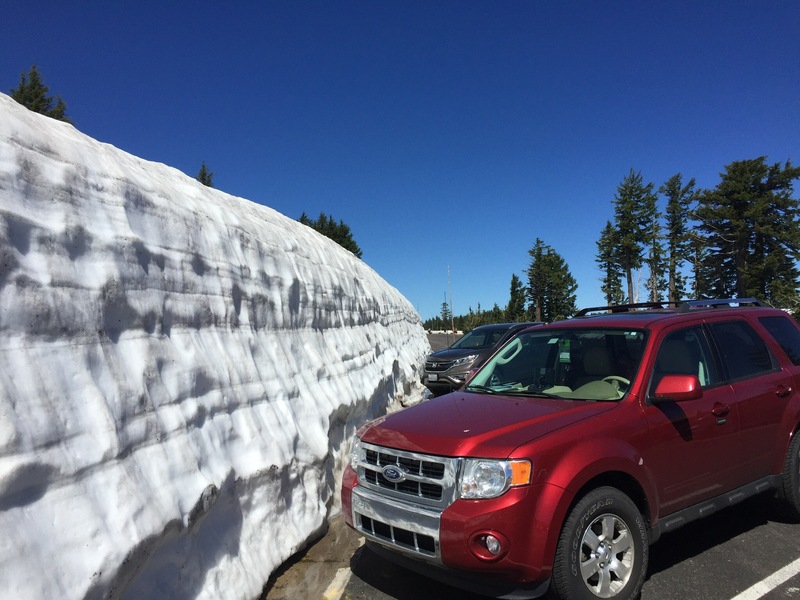 …as were the mounds of snow surrounding the rim of the lake! 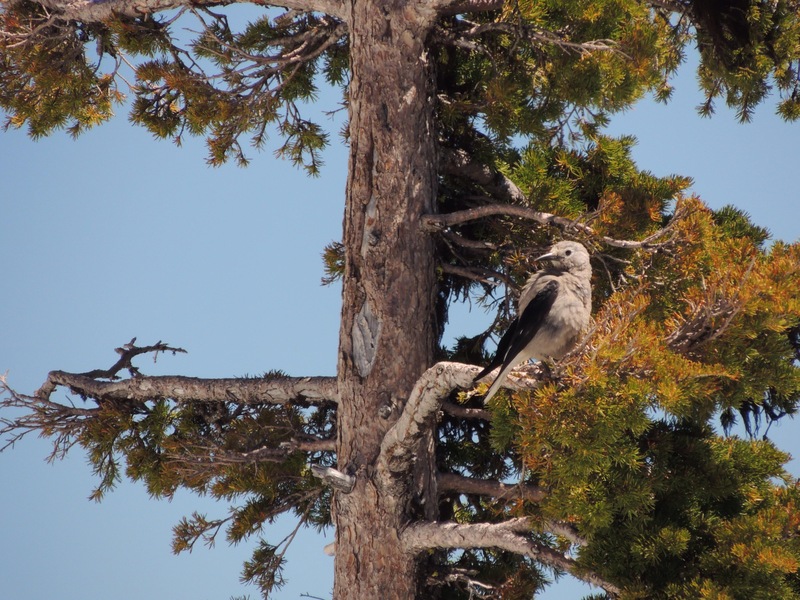 We saw several Clark’s Nutcrackers while we were there. This species of bird was first described by William Clark on the Corps of Discovery expedition to the Pacific Ocean in 1805. They are able to carry hundreds of seeds in a pouch below their tongues, which they bury in small caches to eat at a later time. Since they aren’t able to eat the thousands of seeds they store, many trees take root and thereby renew the birds’ food source. Until this visit, we thought these little inhabitants of Oregon were chipmunks. 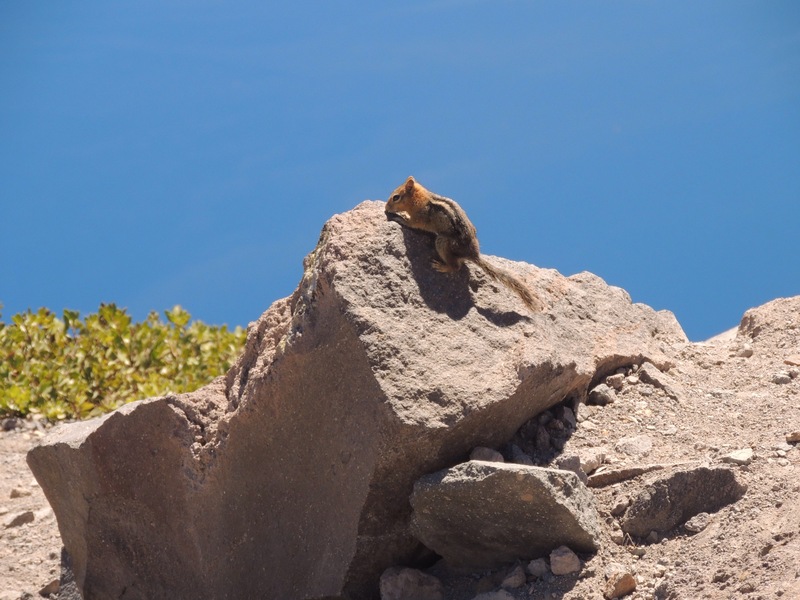 By completing our Junior Ranger books, we found out that they are actually Golden Mantled Ground Squirrels. Chipmunks have a striped head. Learn something new every day! Little did we know back in 1996 that it would be 21 years before we returned. Even though we are hoping to visit again later in the summer, it was difficult to leave this beautiful place this time around. 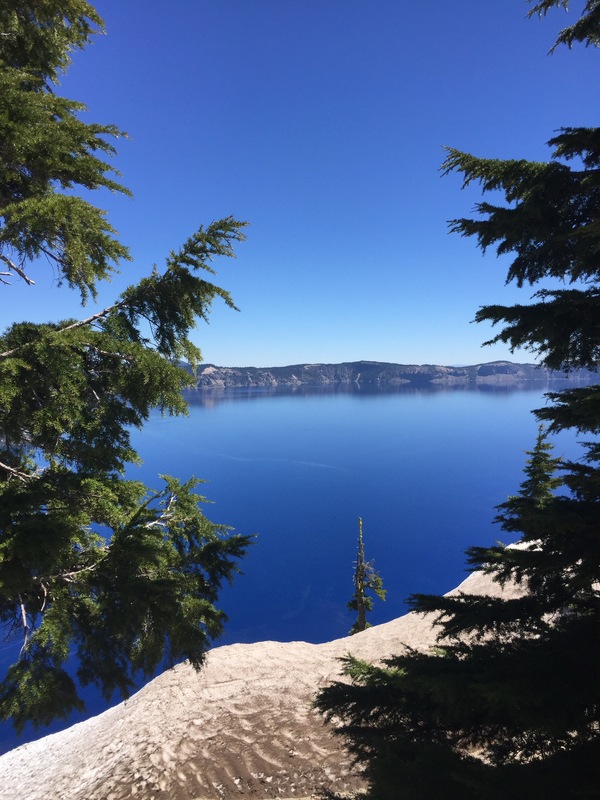 If you ever have the opportunity to visit Crater Lake, we highly recommend you do so! Crater Lake items, plus so much more available here on our Amazon link! I’ve never visited the PNW but keep seeing amazing photos that are definitely piquing my interest. Beautiful country! Love it! This place has been on my bucket list for years. Beautiful shots guys! Thanks for sharing. Safe travels. Thanks Kelley! Safe travels to you also! Beautiful park!! While it hasn’t been 21 years since our last visit it has been more than 10, got to figure out how to fit it into one of our trips through Oregon again!! Some of the coldest water we have ever stuck our toes in, and that was in August on a previous! We visited Crater Lake two or three years ago and loved it. 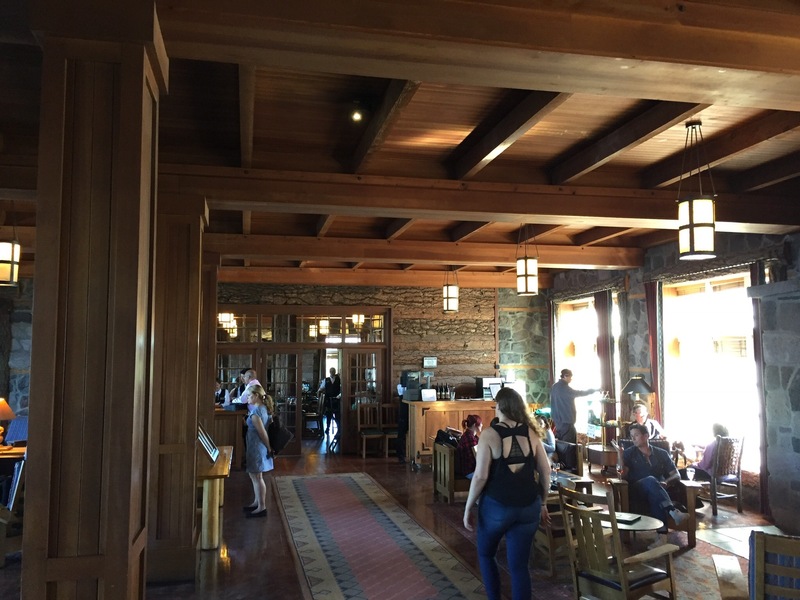 We had the opportunity to stay in the Lodge and enjoyed a wonderful meal that evening. We were there in late May and some of the entrances to the park were not open yet. The weather was cool and crisp and beautiful! Wow….you’ve seen it with LOTS of snow, Nancy! 😃. It sure is a special place! 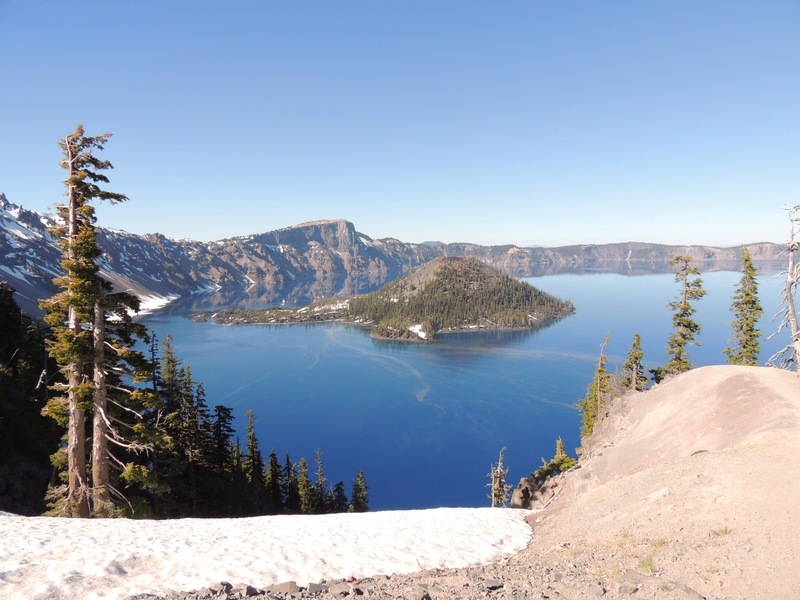 We loved Crater Lake and will need to return when snow is gone enough to hike around the rim! Great pics guys! We were there in August last time, Kelly. The boat tours were operating and all the snow was gone. That would probably be a safe time to go. I have still yet to see Crater Lake with snow. Glad you got your JR badges there. Many years ago I was turned down for being too old. WTHey. Also on our bucket list but the timing has never worked out. We’ve only seen it from the air flying back to Canada. Thanks for the tour and safe travels! Hopefully you get to see it next time through! We visited Crater Lake about 15 years ago on a motorcycle trip in mid June. They had just opened the road the week prior! It was amazing to see it with all the snow. Now we plan to visit this Sept to do some hiking without snow! Love your photos!! Should be perfect, Pam! BTW…tell John we just went to REI in Bend, and I picked up a new pair of Vasque St. Elias GTX’s! Great! Too bad we weren’t still there! We’ll be back in Bend at the end of August! Let’s meet up! We will be here until 9/5. Where are you going to be for the eclipse? I think you’re standing in the same spot we were – at the time it was one of very few access points 🙂 We’ve also been calling them chipmunks! Thanks for making us smarter :-)))) I wonder if they’ll still be able to open the road by the end of July. Looks like there’s plenty of snow even now. You’re welcome, Jodee! 😀 The north entrance opened while we were there, so I am hoping the snow will be gone soon! I’ve never seen Crater Lake and hope to remedy that soon! We hope you are able to also, Bonnie…we think you will love it! You are taking me back some 10 years ago when we first visited this spectacular very blue lake. Steve rode the bike around the crater while I followed behind him as his support lady. He had a blast! I’ve never heard of it before!! Very interesting to read about it. Looks like an incredible place. 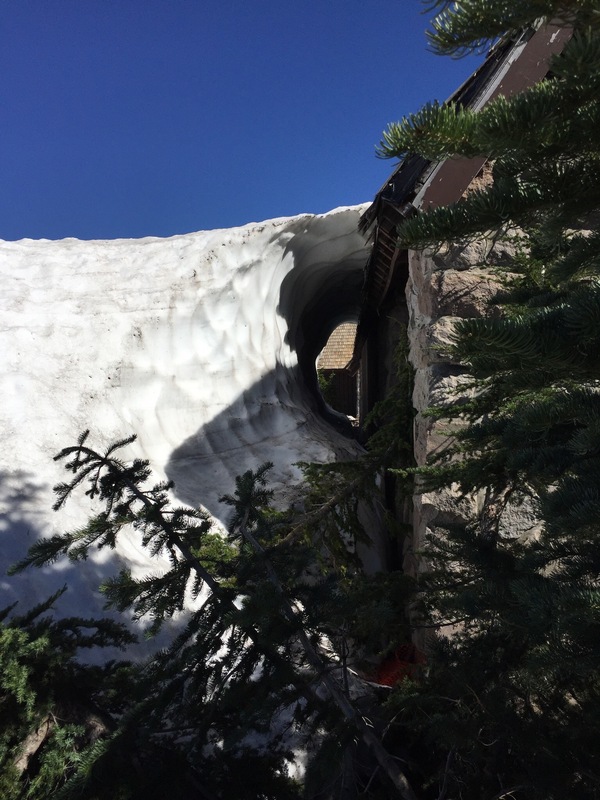 It’s quite amazing to see that amount of snow in summer!! You will have to check it out the next time you get over this way, Gin!